The advancement in technology and the use of new materials, the increase of public environmental protection awareness, as well as people’s seeking for better, easier and multifunctional living, bring fresh challenges to product design. 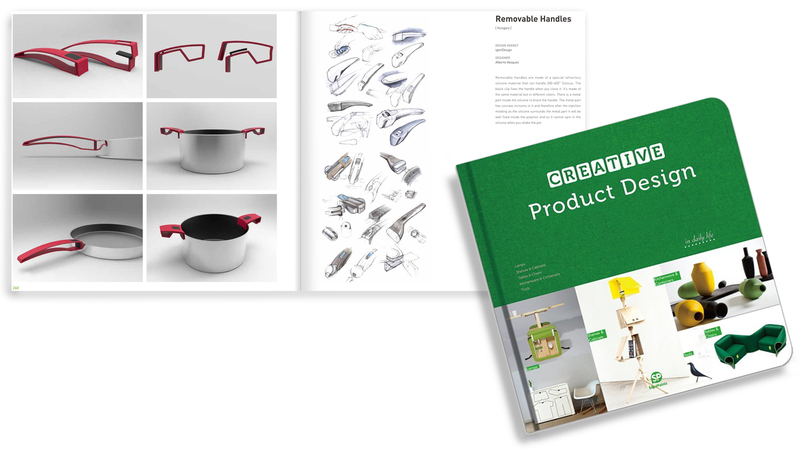 Creative Product Design presents and analyses creative products in everyday life from various parts of the world. The book features five parts: lamps, tables & chairs, shelves & cabinets, kitchenware & containers and tools. This entry was posted in news and tagged creative, design, fogo, handles, product, published, removable, sendpoints by igendesign. Bookmark the permalink.